If you love the beach, then you know that it’s a whole other world when you are there. It’s great to get away and enjoy some personal time in a place that oozes relaxation. Here are some apps to make every trip to the beach even better than the last. Enjoy the ocean against the background of your favorite music. With this free app, you can create playlists based on favorite artists, music types, or songs. 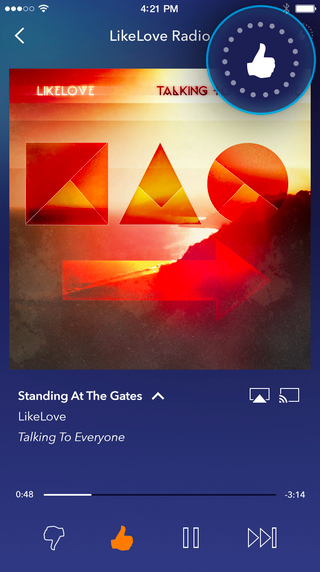 Pandora then suggests other songs based on the tempo, genre, and complexity of the songs you like. You can “thumbs-up” or “thumbs-down” songs in order to create a list that is more personally geared toward you. Now all you need are some durable and powerful portable beach speakers for your iPhone. Beach bums might not love paying for apps, but 99 cents is reasonable for this helpful little app that tells you all about the beach destinations near you. Unlike most weather apps, this app looks at the weather of the beach, not the nearest city. 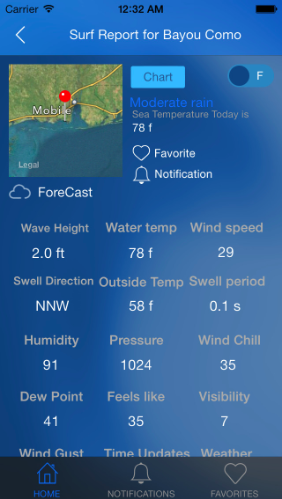 It also tells you everything you need to know about wave height, water strength, tide times, beach location, and more. For another 99 cents, you can be aware of what the sun is doing to your body. If you are at the beach a lot, then you have to be careful of sun damage. Intensive sun on your skin can cause sun spots, wrinkles, dehydration, and increases your risk for skin cancer. The iSunBurn app reports the intensity of the UV rays in your area and will help you determine the right sunscreen SPF to keep your skin safe. Before you hit the waves, you need to know the safety or danger levels of the water in your area. While your beach might have a flag warning you of conditions, this free app will help you learn more about the dangers in your area and how to stay safe at all times. The app even includes protocols so you can consider what you should do if something does go wrong. While it makes perfect sense that you would love and adore your sleek iPhone 5 smartphone, especially if you got a deal on a pre-owned one, you are at the beach, and absence does make the heart grow fonder. Not all apps should be distracting you from your chance to reflect, recharge, and hit the water. Quality Time is an app designed to get you off your phone and focused on the more important things in life. It tracks how many times you unlock your screen in a day and how much time you spend browsing. It also breaks down the time you’ve spent on each app, helping you see what is the biggest drag on your time. Plus, if you want to force yourself to take some time away from technology during specific events, Quality Time can be set to block certain apps during certain times. You can create different profiles for different recurring events (work, home, beach, etc.) and block different apps for each one. Perhaps on the beach you only want access to a few of your favorite beach bum apps and your camera, but at work you don’t want to be distracted with Facebook. With Quality Time, you can help your phone work with you and not against you. If you love social media and want a platform that is dedicated to beach bums like you, then this is the perfect app. This social media network is focused on those who love the adventure of outdoor action, like surfing, diving, cycling, paddle boarding, kitesurfing, boating, golfing, and more. You can share your own location, conditions, photos, and stories with the rest of the community or privately with your friends. 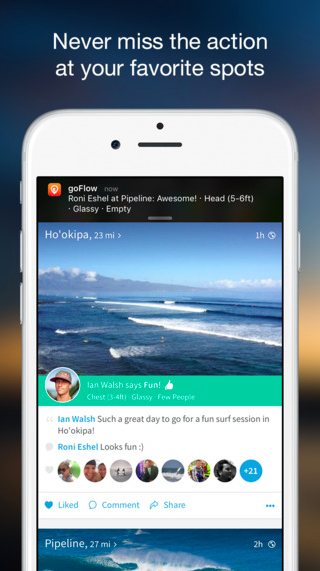 With goFlow, it’s easy to find new places to try out and then share your stories on other major platforms like Facebook, Twitter, and Instagram. Now that you have the best tools for your trip to the beach, get out there and have fun! There is nothing like a clean beach in a small community on a warm, sunny day. Here’s to finding the best hidden beaches and getting all the work flexibility you need to really enjoy them.